So who was a better Banner? : Bixby or Ruffalo? It's probably an unfair question because Ruffalo has never had to carry the character alone outside a very well done ensemble piece. I just always loved Bixby's pathos. It was thing that really sold the show. 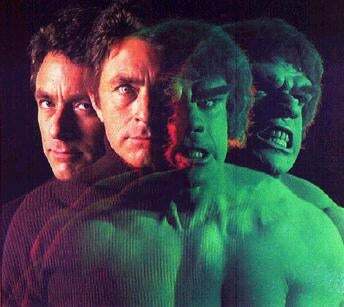 We find Ruffalo at a time in the character's life where he is better learning to control the Hulk. Bixby was not so fortunate. He's more like Lon Chaney Jr. in The Wolfman, where the monster inside him is far more of an uncontrollable curse.